This evening Karl Binder and i drove to the Wetterkogelhaus on the top of the Hochwechsel were the Deep Sky night of th BAA was happening. We arrived before 7:00 pm to see a beautiful sundown and put the scopes on place during daylight.The weather was excellent and no wind at all. Venus was soon visible after sundown and gave us the first chance to compare with different scopes how they show the cresent of Venus. Later on when darkness came the milkyway was shining bright and especially the part in sagittarius was impressive. 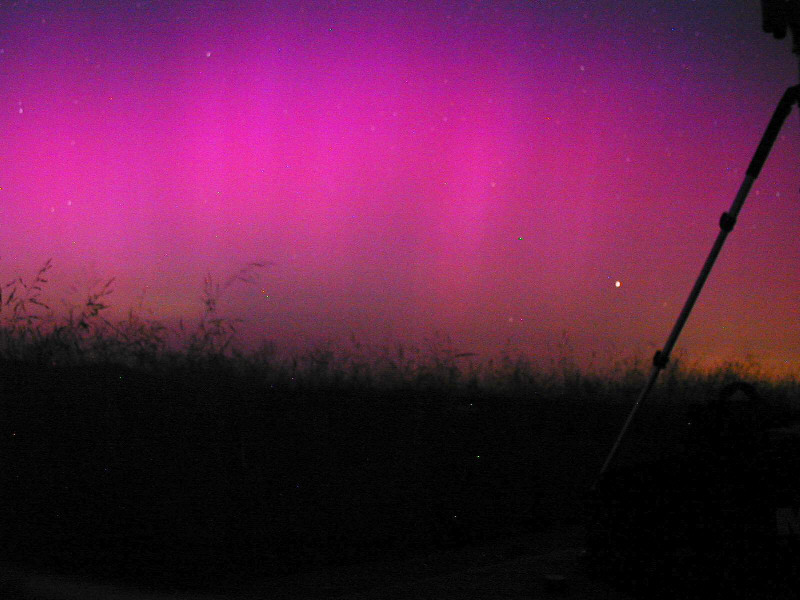 But the main highlight for me came short afterwards as we suddenly saw a relatively bright, pink northern light in the NNW direction. We tried to get quickly the cameras into place, i was lucky having the camera ready. I took a shot with the Olympus 2020Z digital camera with 16 Seconds exposure time. The result you see below right.The northern lights disappeared after 10 Minutes and came back 40 minutes later a litte weaker. But still the vertical stripes were easy visible. Later on the guys with the bigger scopes came into action. 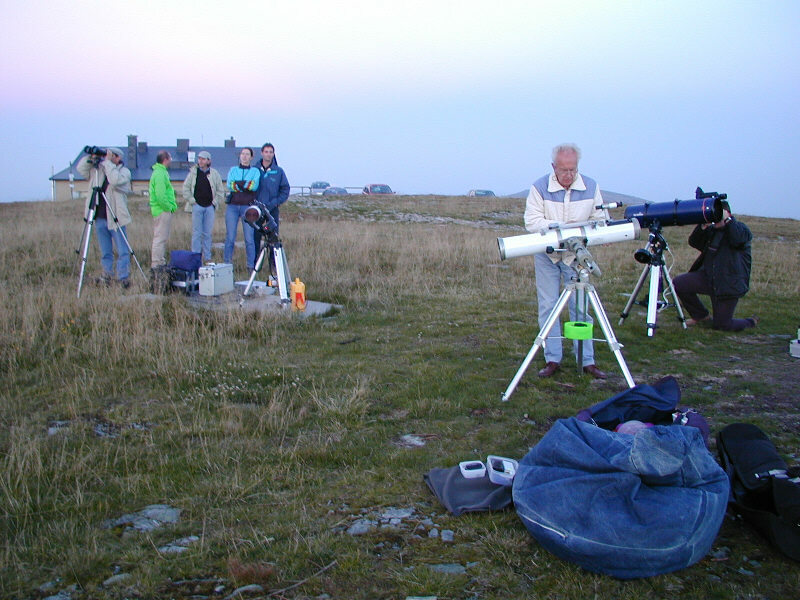 Alois Virag has put his 10" Newton with EQ-6 beside us and later on we were invited to see different nebula (Veil, Cirrus) galaxies etc. very clear and sharp in his scope. At midnight the air and the equipment became relatively wet and we packed our belongings and drove back home. It was an excellent experience and as i saw my first northern light i will never forget it.